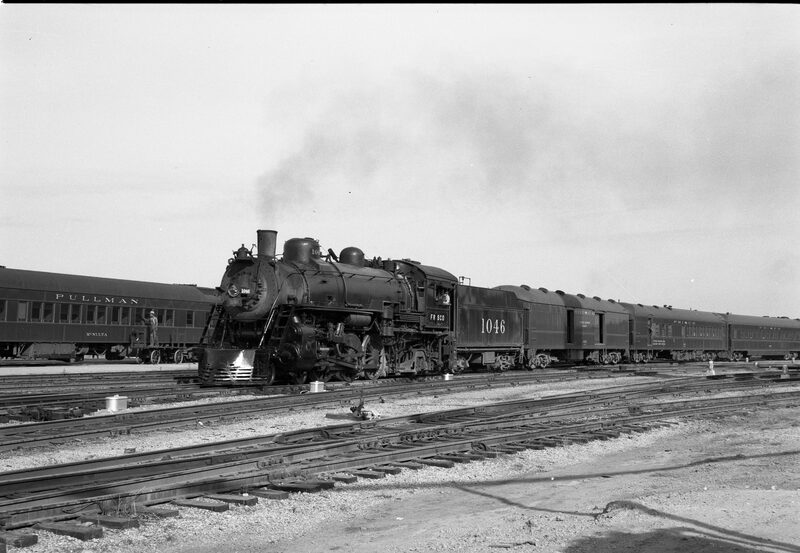 0-6-0 3804 (date and location unknown). 4-8-4 4507 at Lindenwood Yard, St. Louis, Missouri (date unknown) (Cutler-Louis A. Marre). 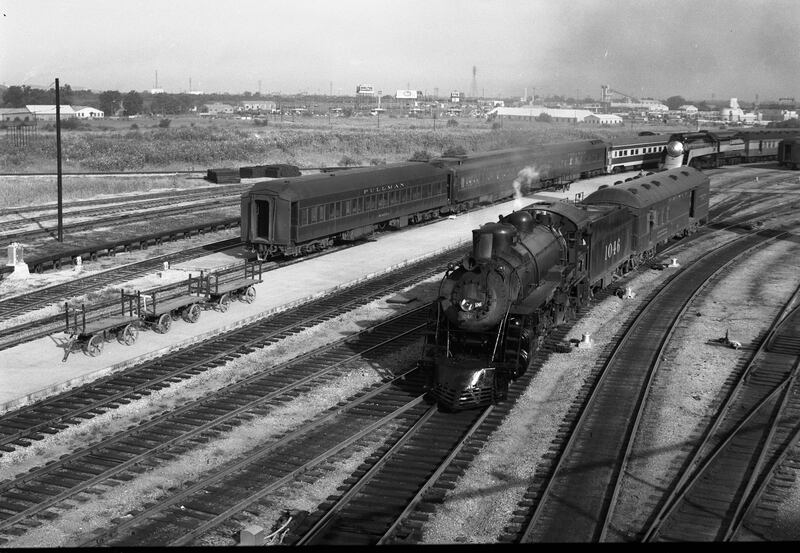 4-8-2 4405 at Lindenwood Yard, St. Louis, Missouri in September 1946 (Cutler-Louis A. Marre). 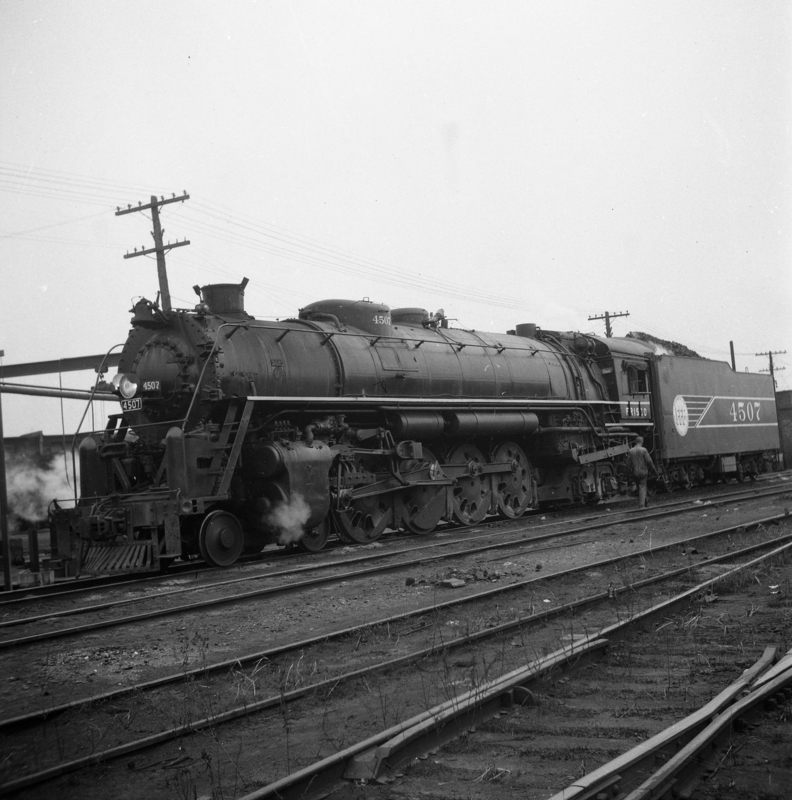 4-6-2 1046 at St. Louis, Missouri (date unknown) (Louis A. Marre). 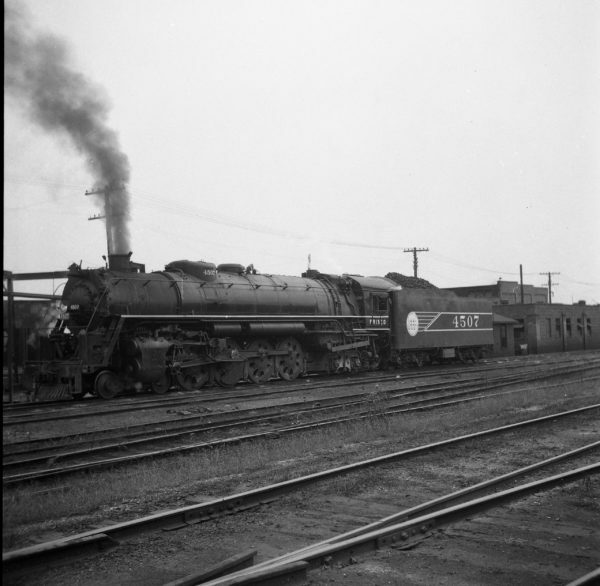 Frisco-built 4-8-2 4401 at St. Louis, Missouri in 1949 (Louis A. Marre). 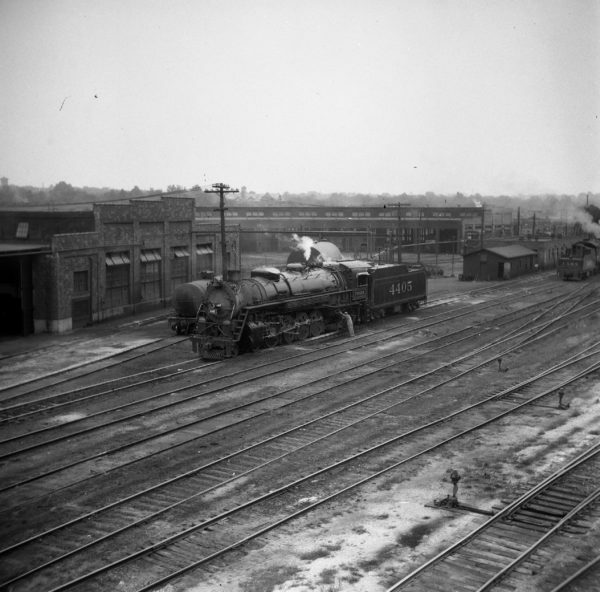 4-8-4 4507 at Lindenwood Yard, St. Louis, Missouri (date unknown). 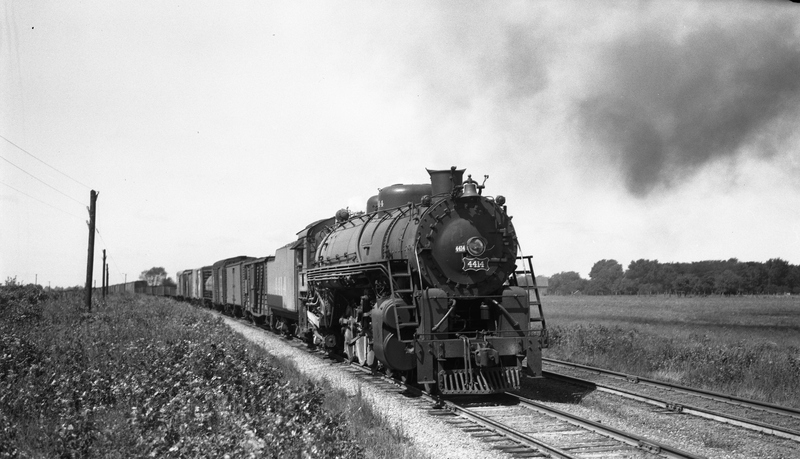 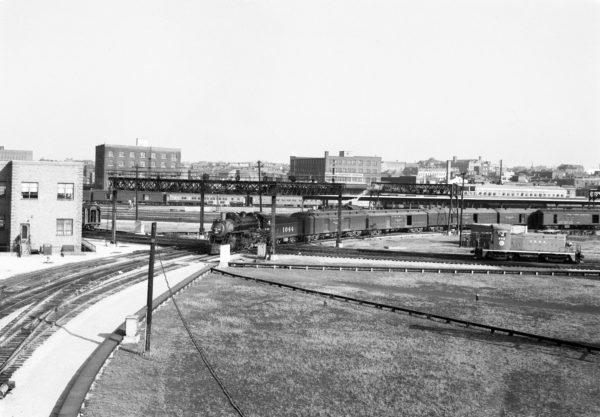 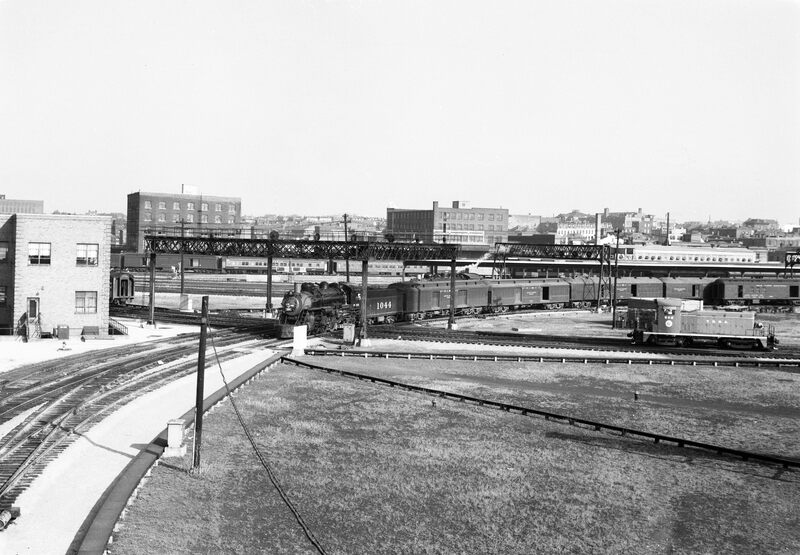 4-6-2 1044 at St. Louis, Missouri (date unknown) (Louis A. Marre). 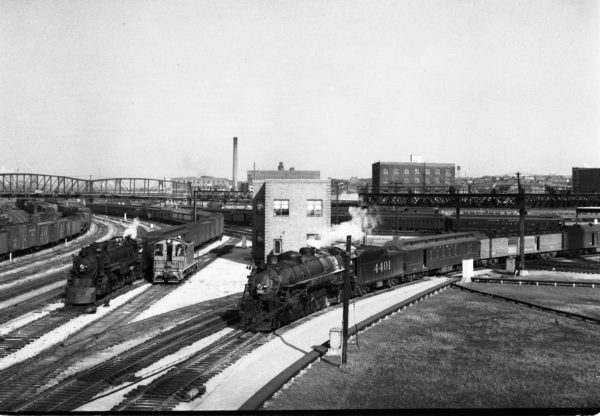 Note the TRRA diesel on the right. 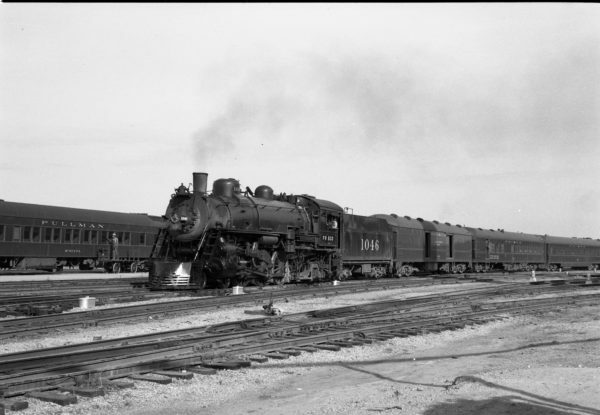 Frisco-built 4-8-2 4414 with the 3rd Section of Train #34 (61 cars) at Nicols, Missouri on September 3, 1944 (Louis A. Marre). 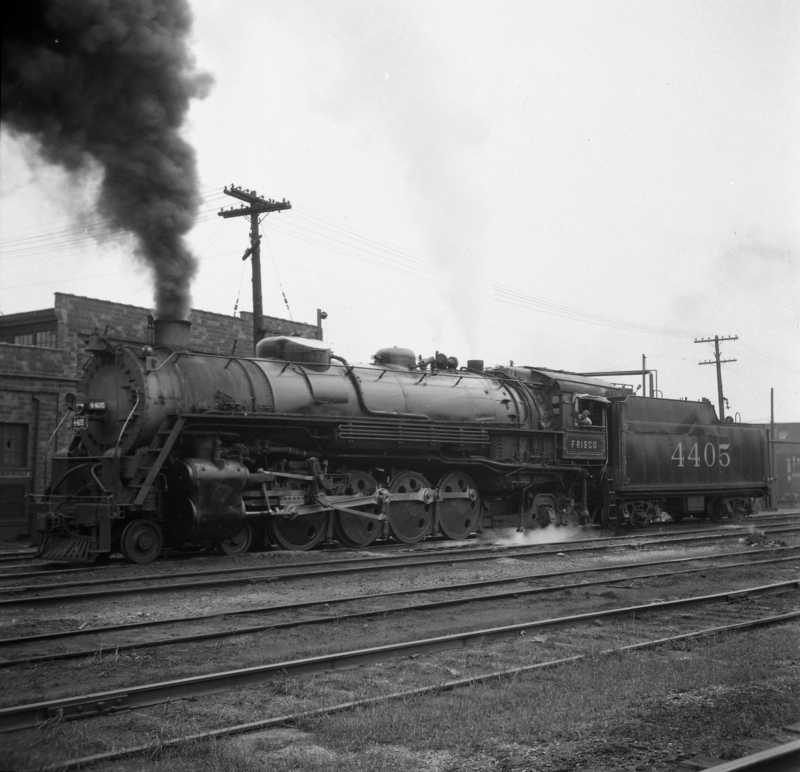 4-8-2 4405 at Lindenwood Yard, St. Louis, Missouri (date unknown) (Louis A. Marre).